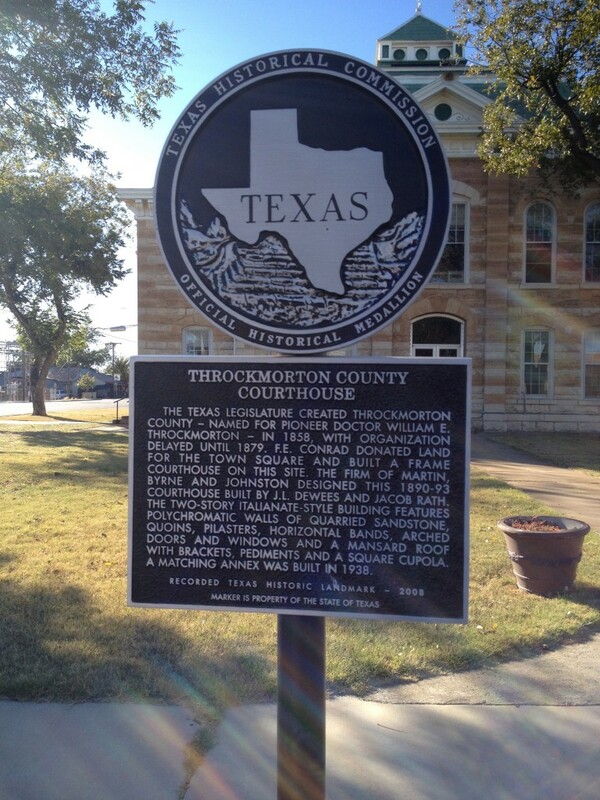 I was the guest of Throckmorton and Throckmorton County on November 9, 2013. 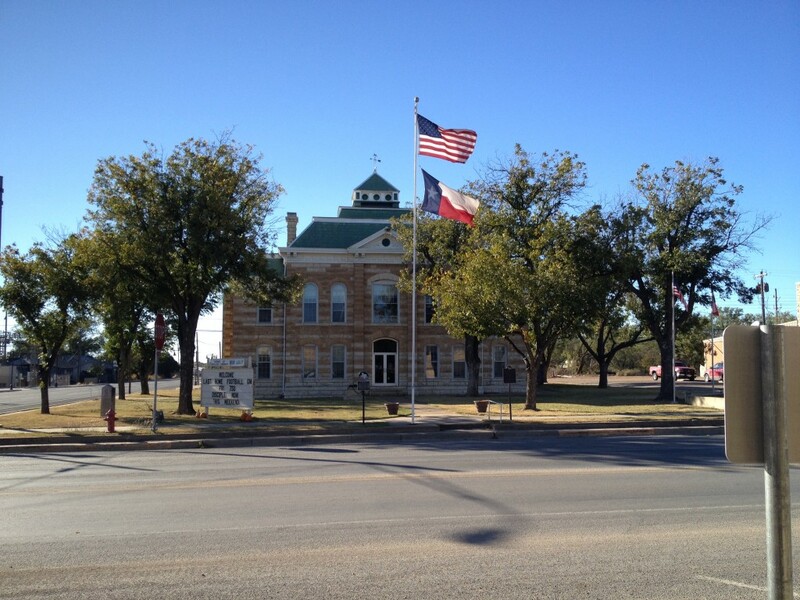 Shortly after Throckmorton County’s creation in 1858, early pioneers chose the settlement of Williamsburg as county seat. 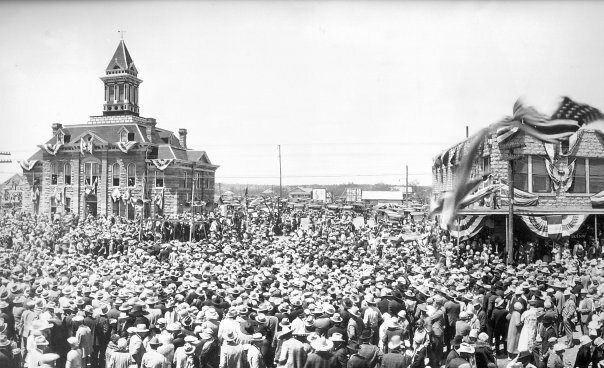 However, since county organization wouldn’t come for a little more than twenty years later, the community was fairly defunct. 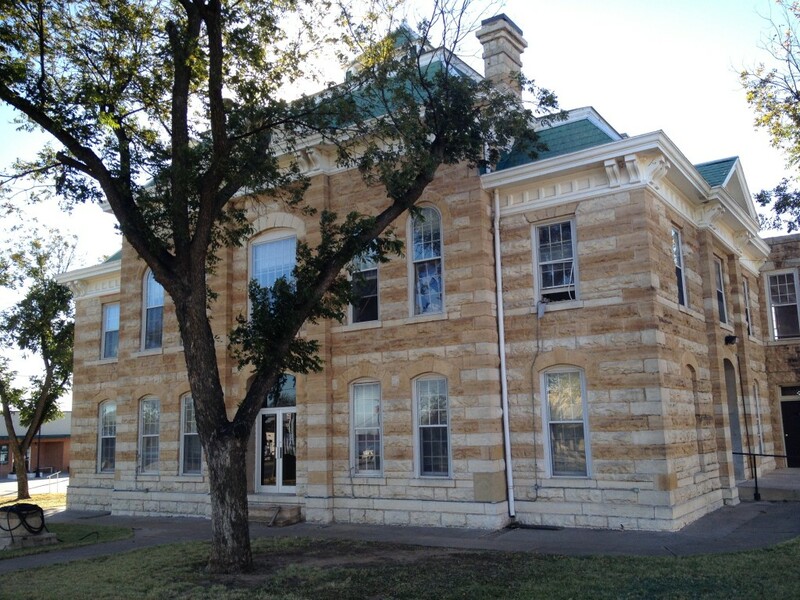 When Throckmorton became county seat in 1879, the first courthouse was built there. Reports indicate that it had to undergo repeated whitewash treatments through the 1880s, constantly demanding maintenance. 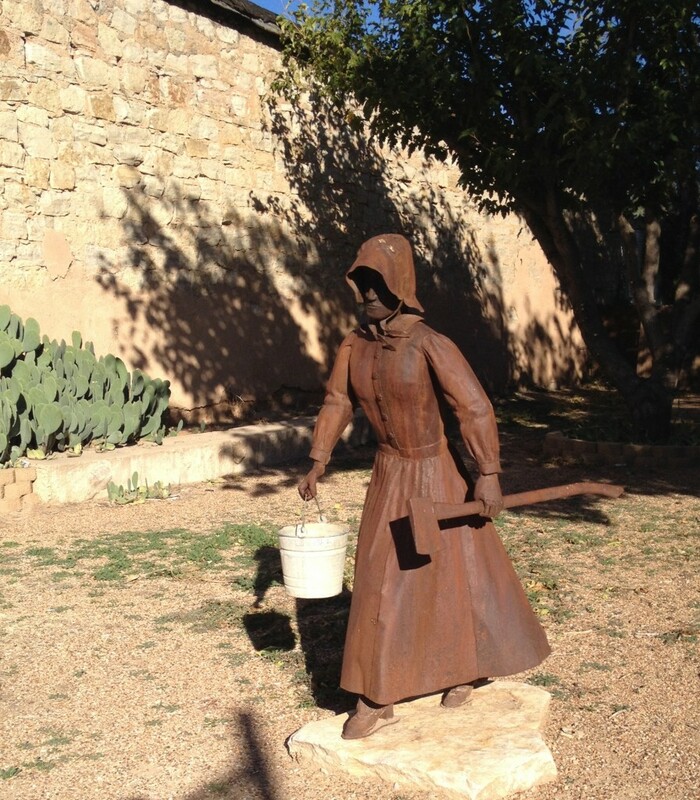 A chimney and cistern, flues, and guttering were all added in the same decade. Eventually, the expense to upkeep the building became too great. 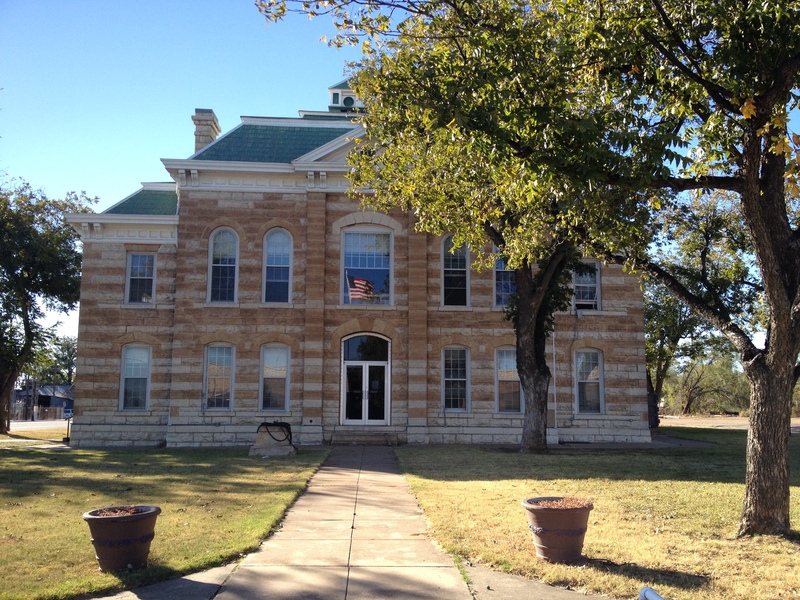 A county election was held in 1890 to approve a new courthouse, and the motion was passed. 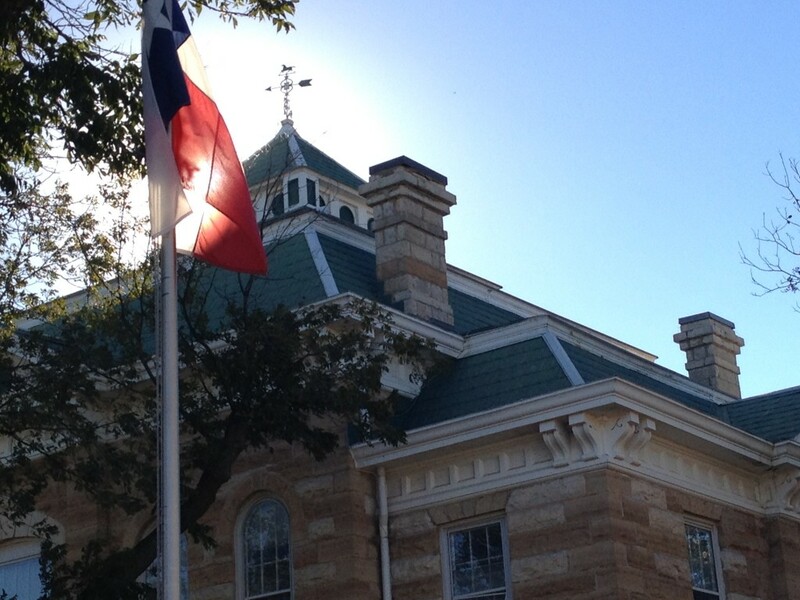 County resident J.E. 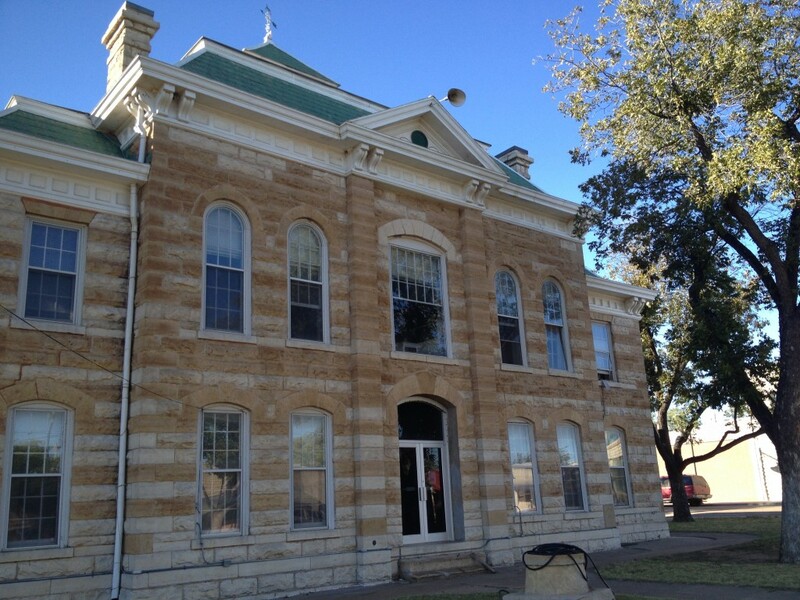 Poole purchased the older building for $235. On land donated by town father F.E. Conrad, Martin, Byrne, and Johnston designed an impressive Italianate, stone courthouse featuring: “polychromatic walls of quarried sandstone, quoins, pilasters, horizontal bands, arched doors and windows and a Mansard roof with brackets, [and] pediments.” The courthouse’s historical marker, published in 2008, also makes mention of a “square cupola”. The original design constructed by J.L. DeWees and Jacob Rath bore a stately tower, as is visible in the photo above (circa 1890). 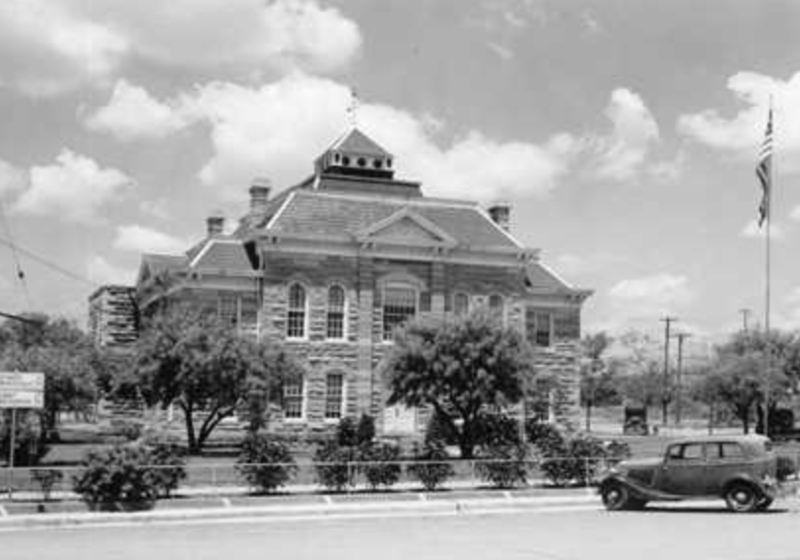 However, a renovation effort in 1938 saw the advent of a county annex on the western side of the building and the removal of that tower. In its place came a squatty, less aesthetically pleasing cupola. From 2013 to 2015, that mistake was repaired. 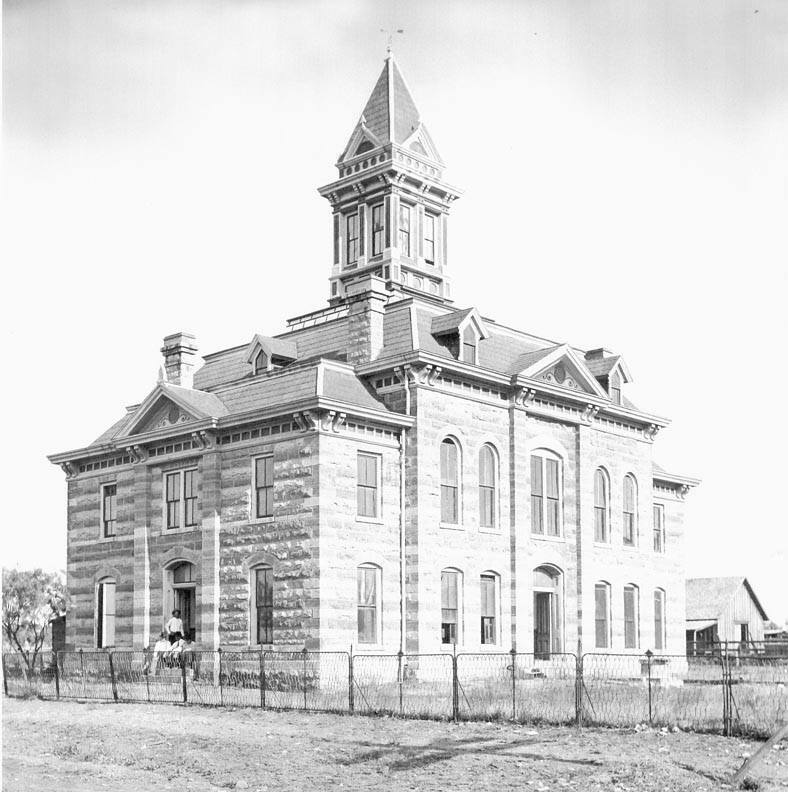 The county’s eyesore annex was demolished to free up the courthouse’s western façade and the cupola was altered to make way for a recreation of the historic tower. 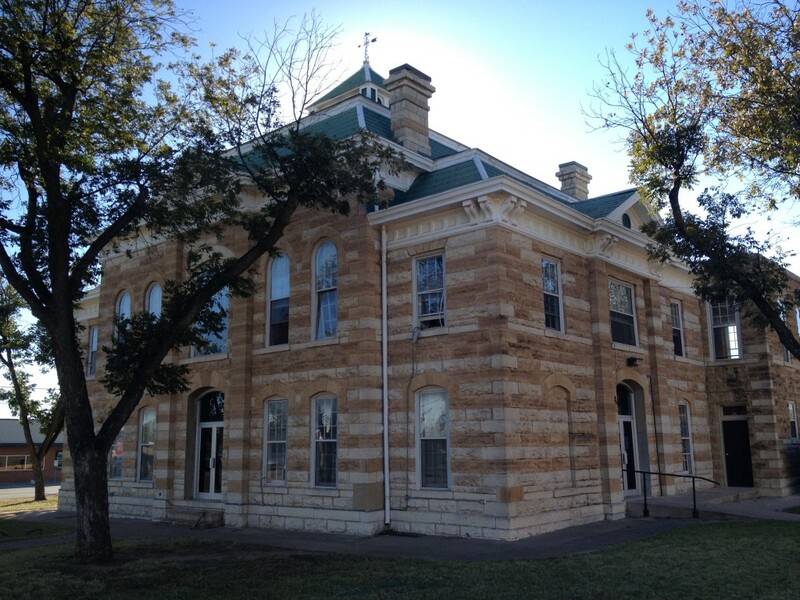 This restoration effort was financed by a $2,400,000 grant from the Texas Historical Commission and $2,800,000 of county funds, forming an approximate $6.2 million project. 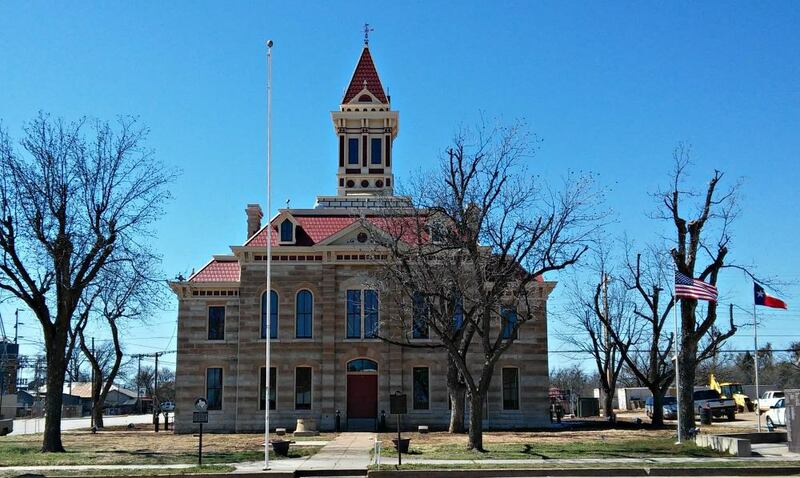 On March 12, 2015, the Throckmorton County Courthouse was publicly rededicated. 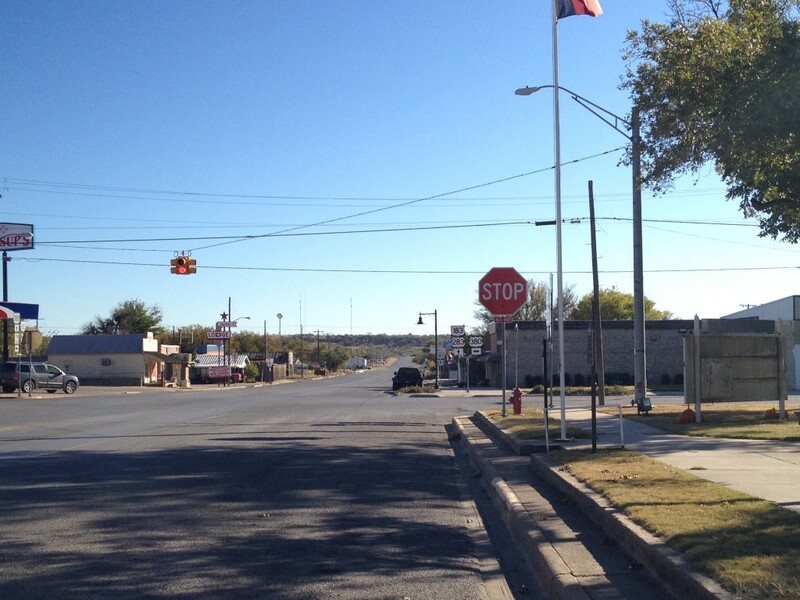 Unfortunately, I visited the area in November of 2013. 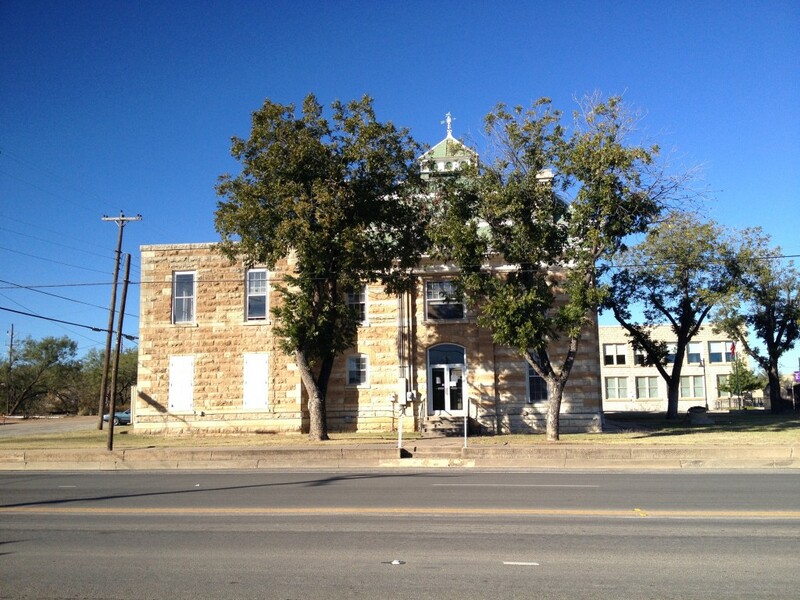 During my time there, the humble beginnings of the restoration project had just begun to become visible. 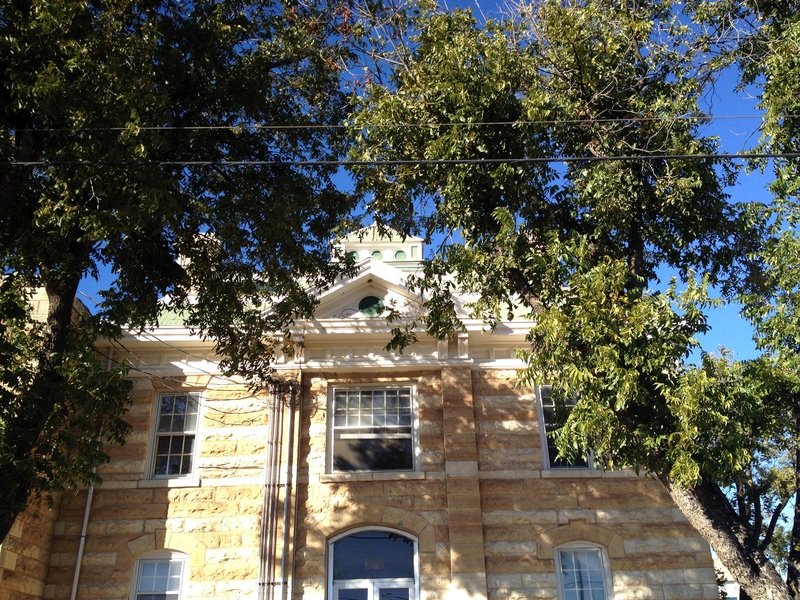 The exterior was not yet covered in scaffolding, but the courthouse’s interior had been recently emptied and vacated. 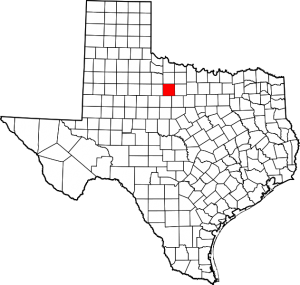 Heading back up to Throckmorton has been at the top of my list for some time now. 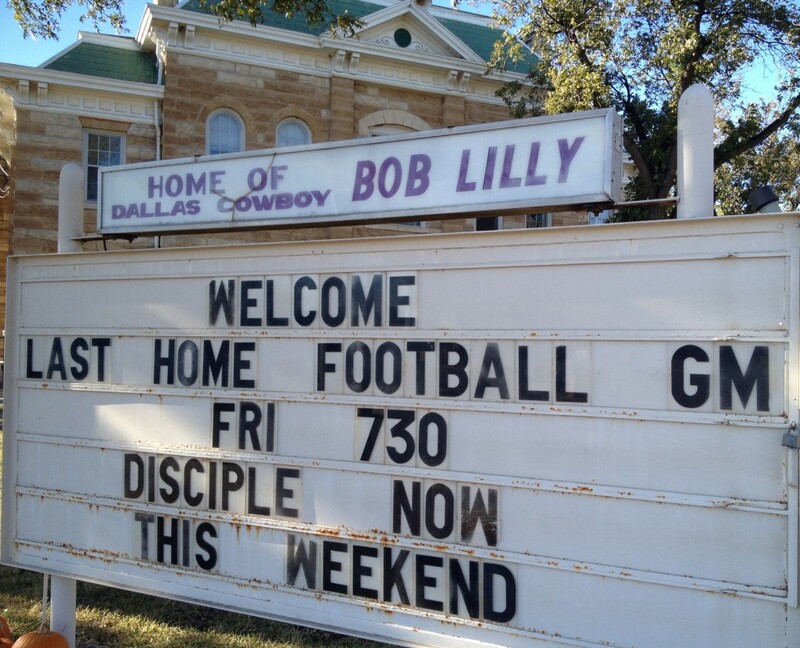 Throckmorton is also the home of Bob Lilly. Maybe you’ll know who that is. I don’t. 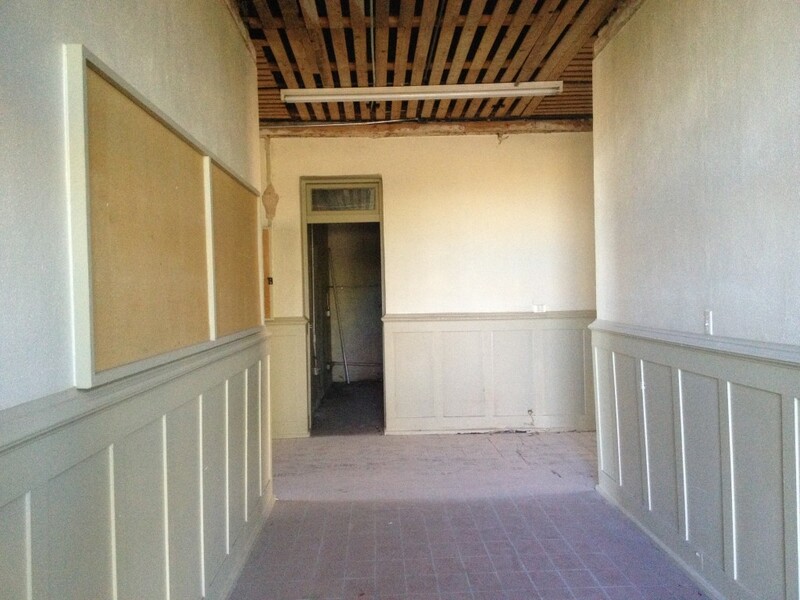 The inside of the courthouse, prepping for renovation. A unique sculpture can be found directly across the street of the main (eastern) entrance.